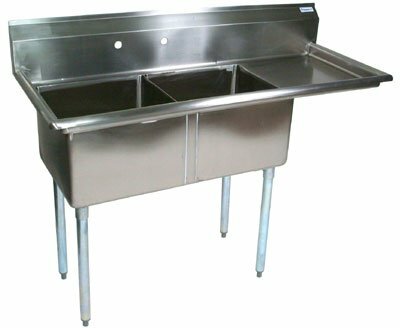 Two-compartment sink. 18 Gauge 300 series stainless steel bowl and deck. Galvanized legs and plastic bullet feet. Bowl measures 16" length by 20" width by 12" depth. Measures 52-1/2" length by 25-1/2" width.